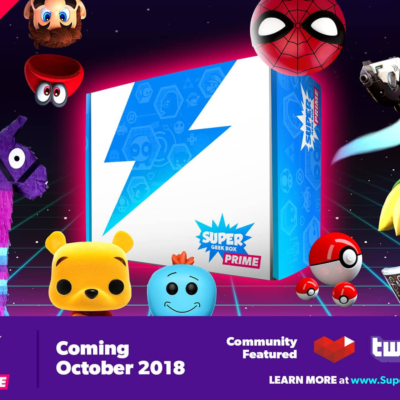 Super Geek Box PRIME is the latest version of Super Geek Box. 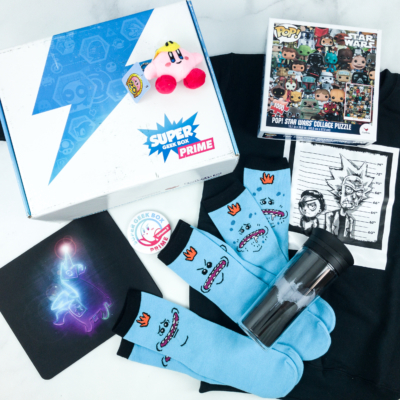 Super Geek Box PRIME is a quarterly geek subscription box priced at $56 + $10 S&H with a promised $120 in value. DEAL: Get $3 off your first month! Use coupon code PRIME . 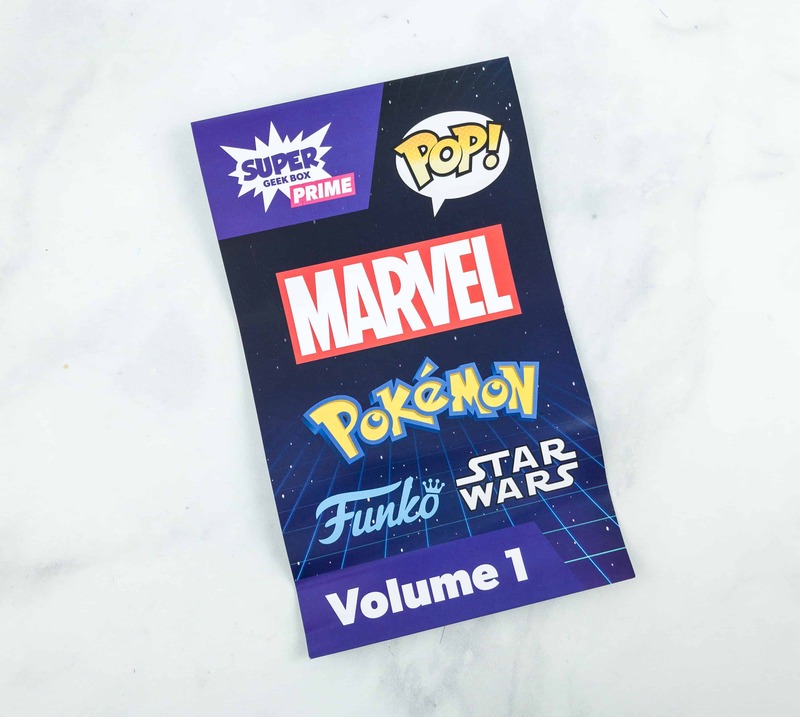 There’s a card that lists all the brands included in this month’s box. 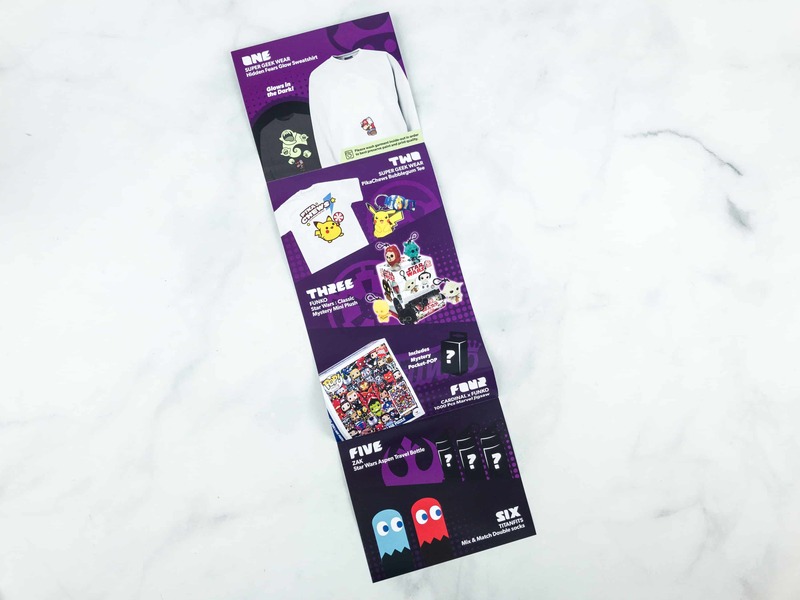 Here are all the items to be expected inside. 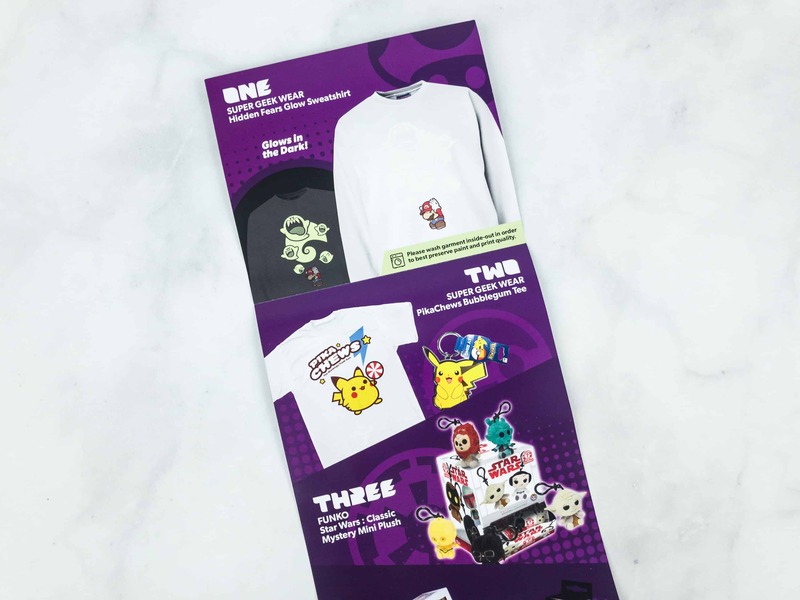 There’s a sweatshirt, a cute tee, and Funko! It also includes three mysterious items. 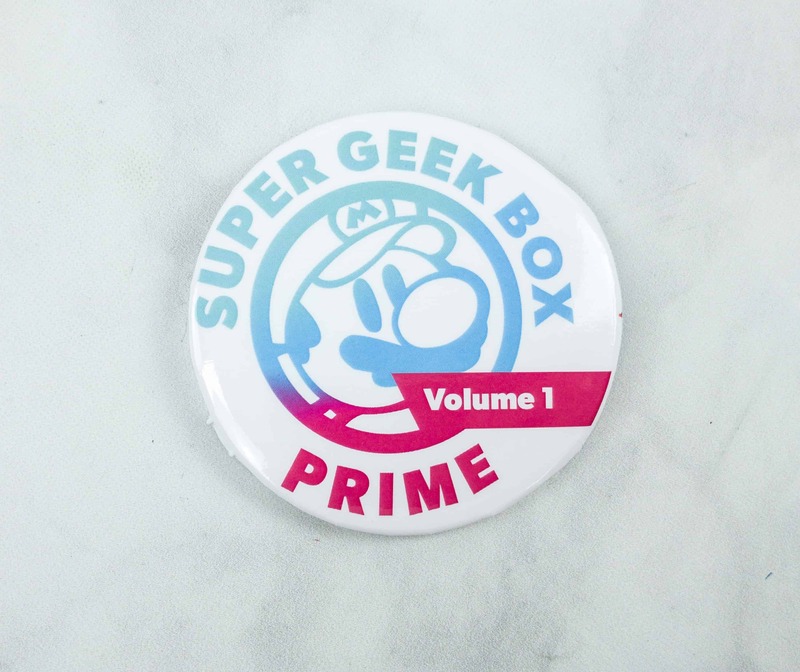 Super Geek Box Prime Button Pin. 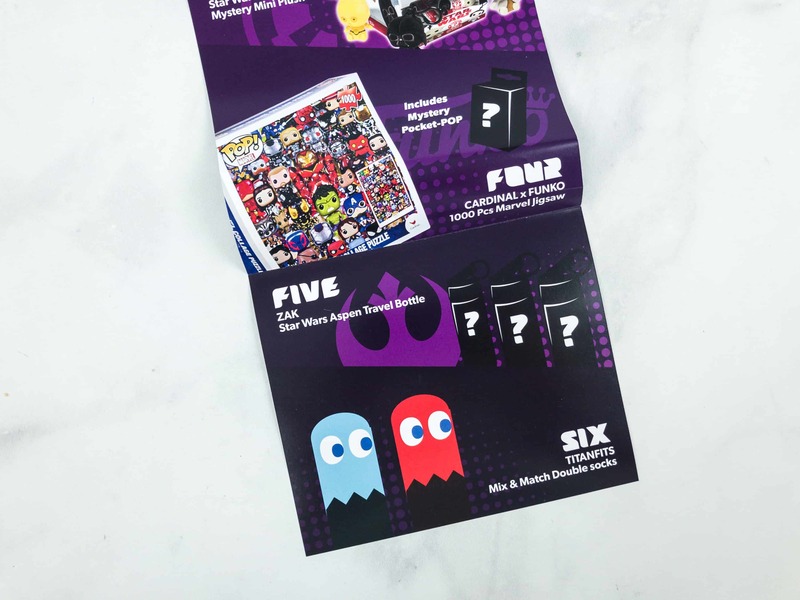 This month’s button pin features Super Mario! 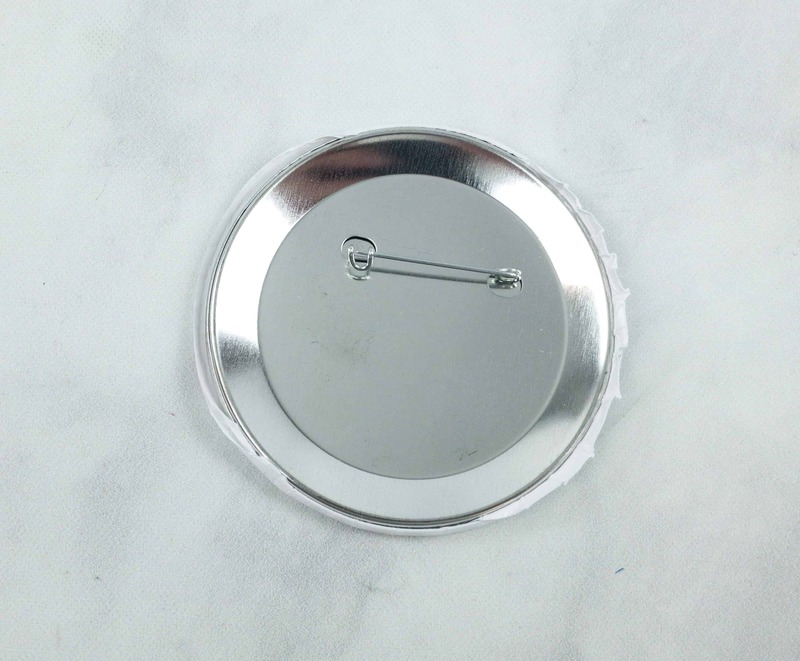 The quality of this pin left a lot to be desired! Hidden Fears Glow Sweatshirt. 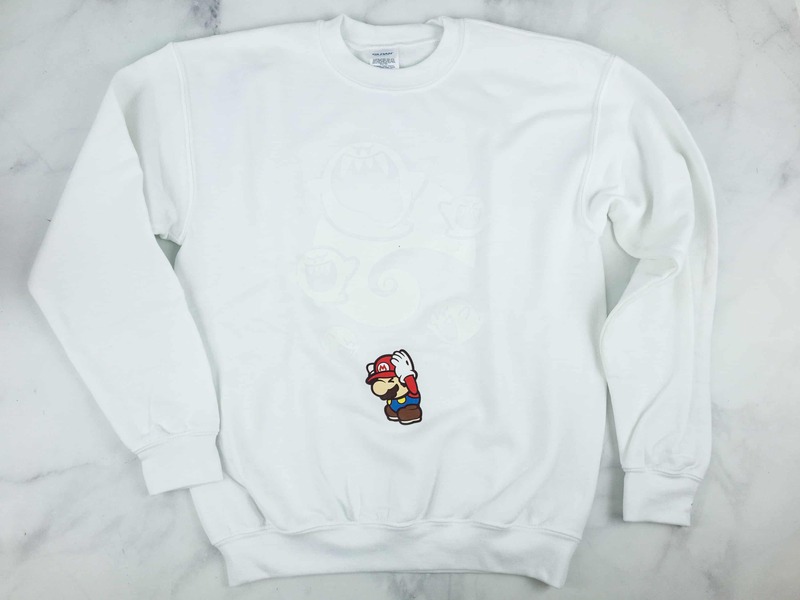 Our first exclusive Super Geek Box item is a white sweatshirt made from premium quality fabric. It’s thick and soft! 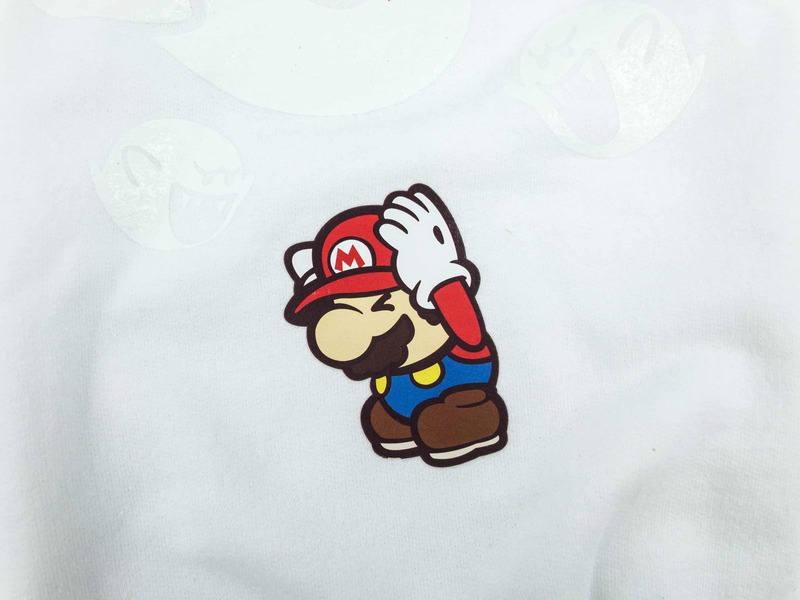 This shirt features a frightened Super Mario print! 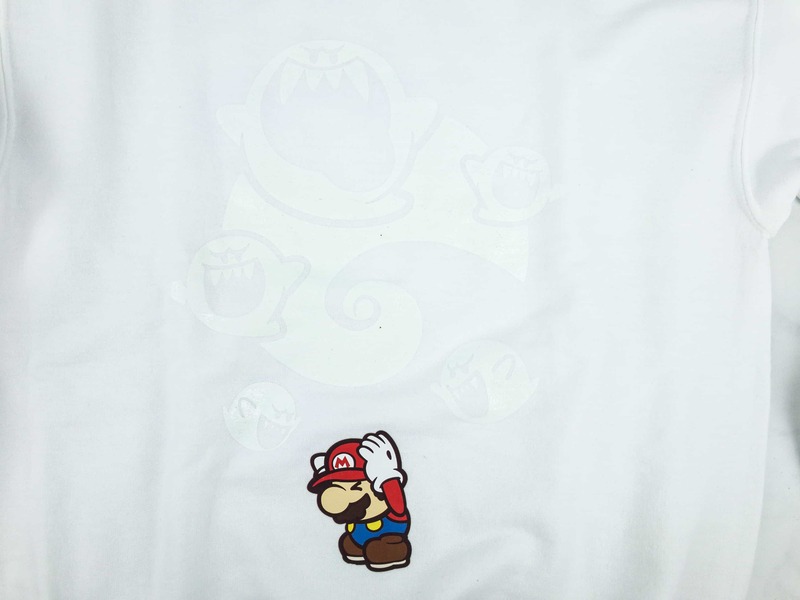 Above Mario are a number of ghosts you can only see in the dark! 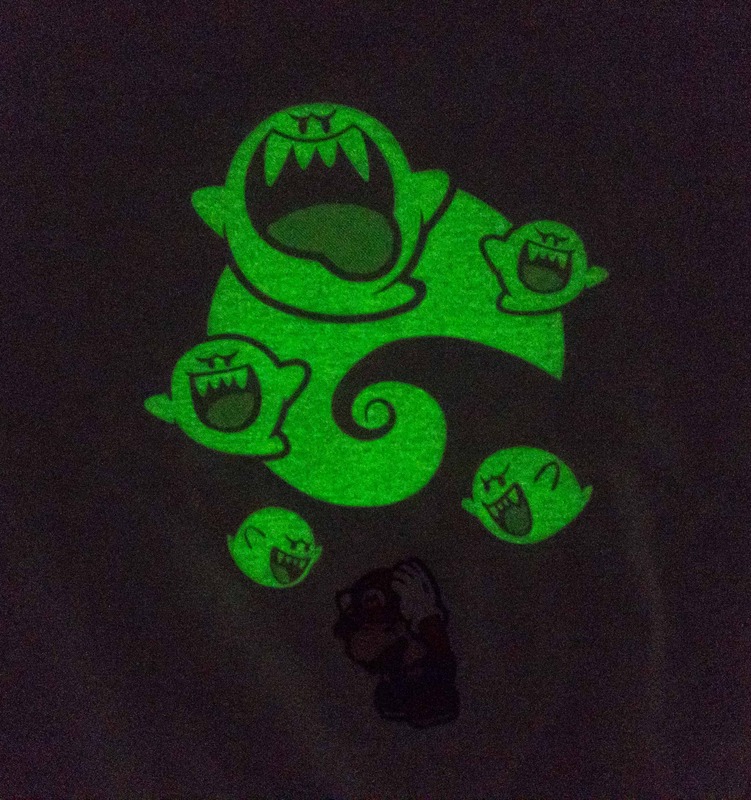 These are glow in the dark ghosts warped to scare Mario. Creepy and awesome at the same time! 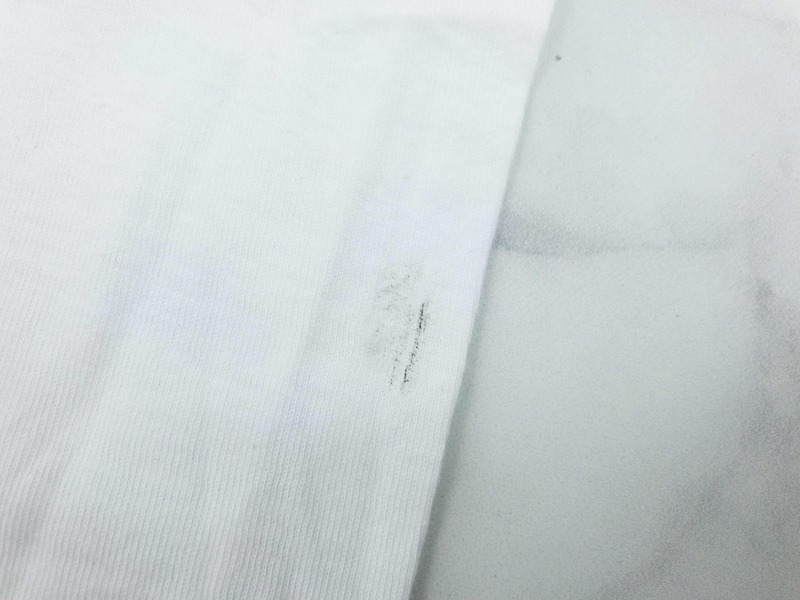 My only concern is that it has a little damage at the back, but overall it’s a great shirt, but I wish it wasn’t white. 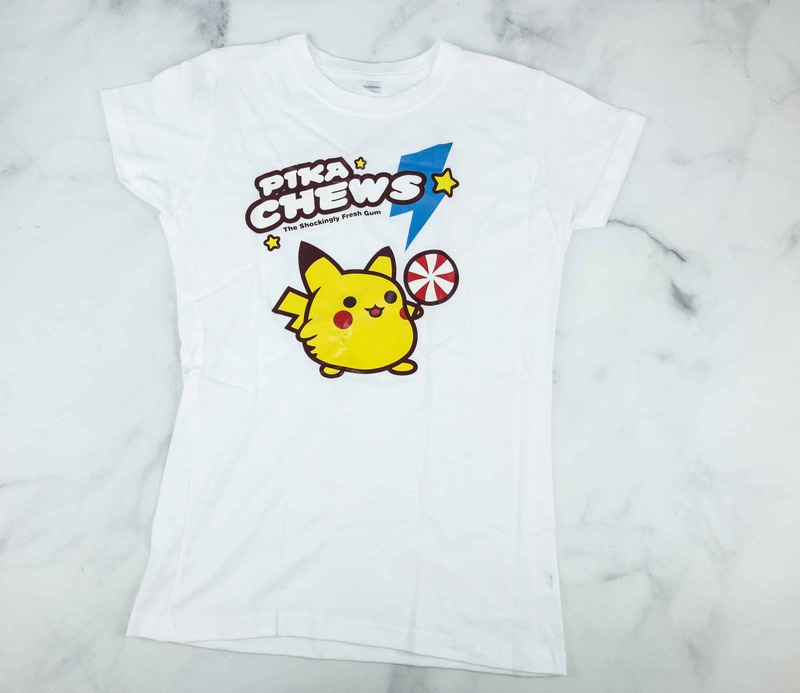 PikaChews Bubblegum Tee. 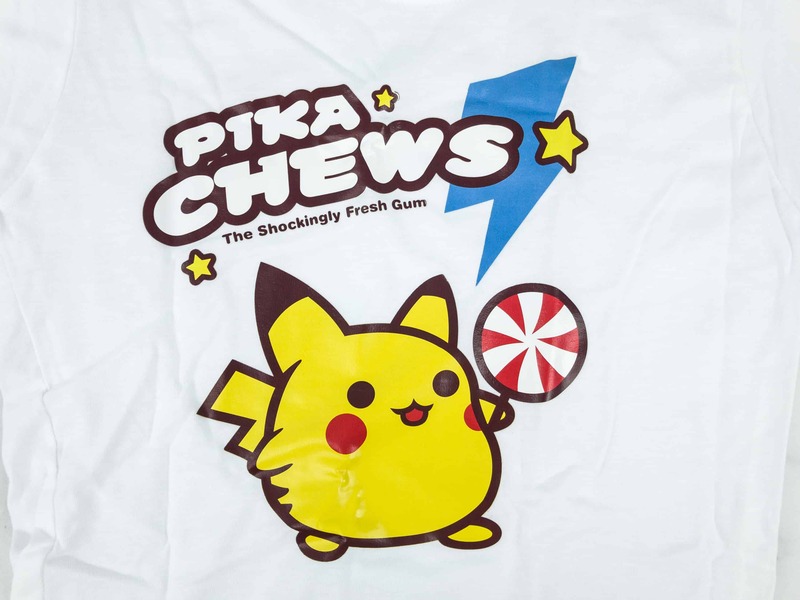 The next Super Geek item is another white shirt with an adorable Pika-chew design. It features a very cute Pikachu holding a candy. Once again – I wish it were something other than white! 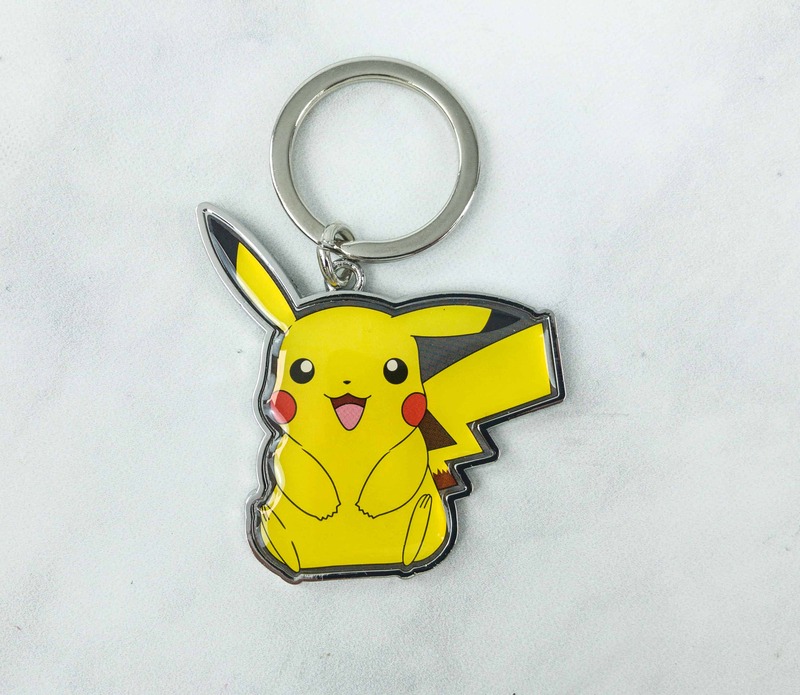 Pikachu Keychain. 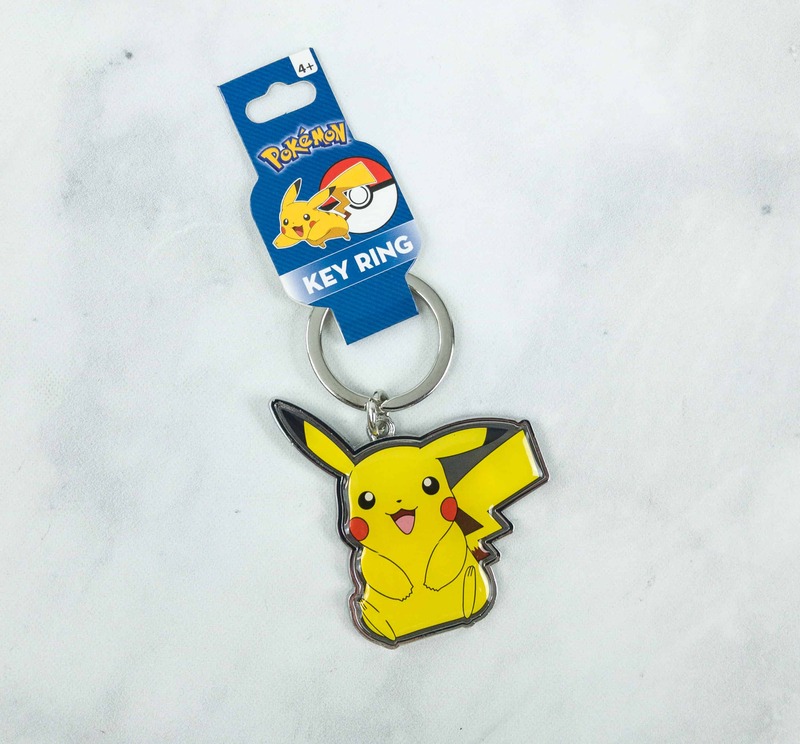 There’s another Pikachu in the box, and this time it’s a keychain! 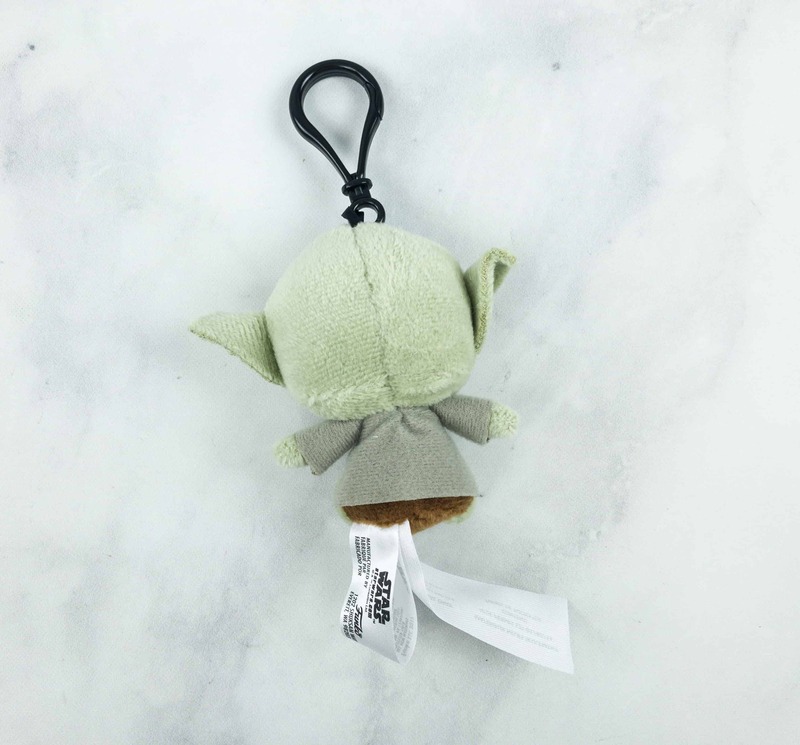 It’s an adorable accessory that you can attach to your bag or with your keys. Pika! Pika! 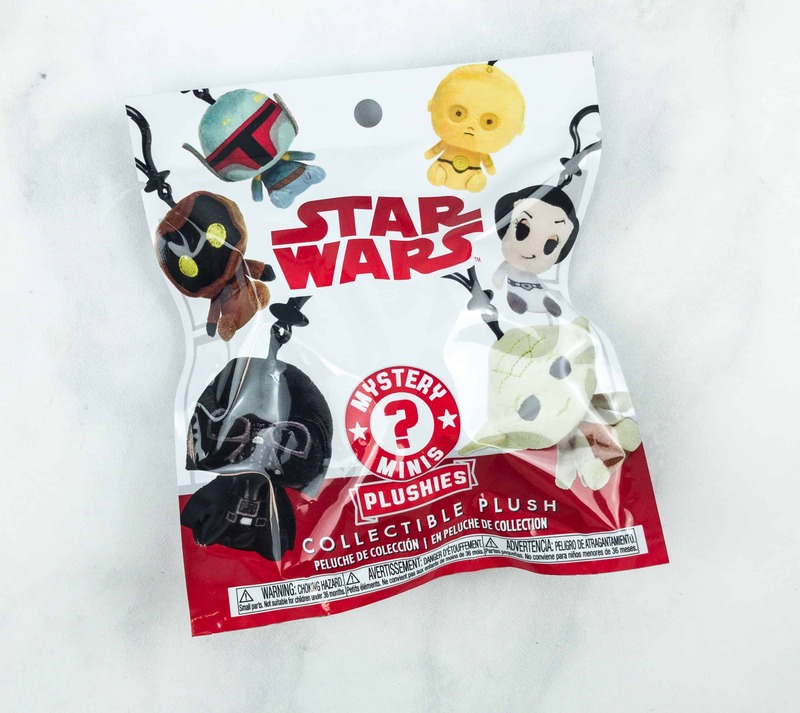 Starwars Mystery Mini Collectible Plush. 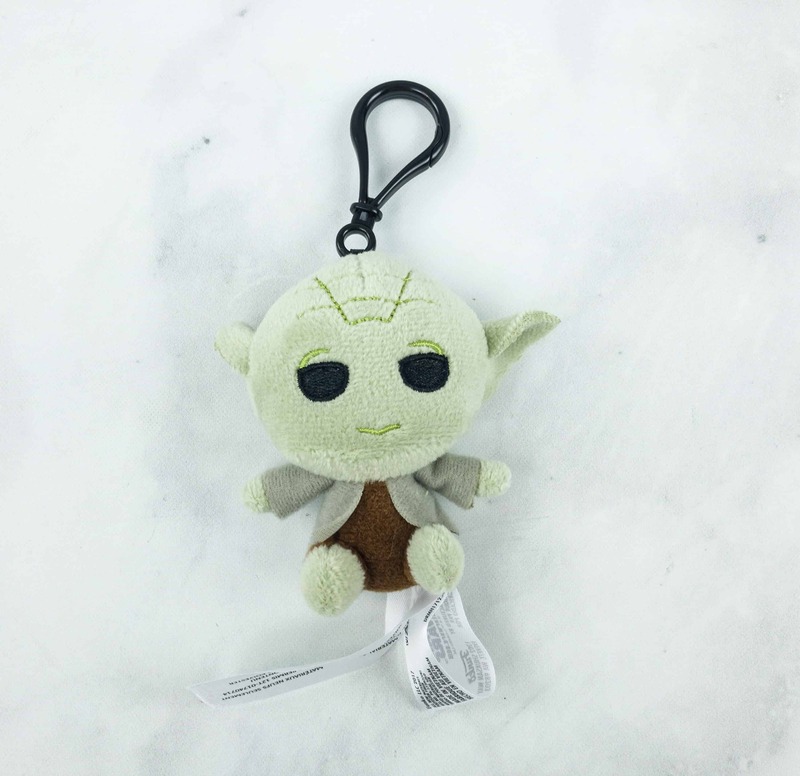 Our first mystery mini is a Star Wars-themed plush toy. 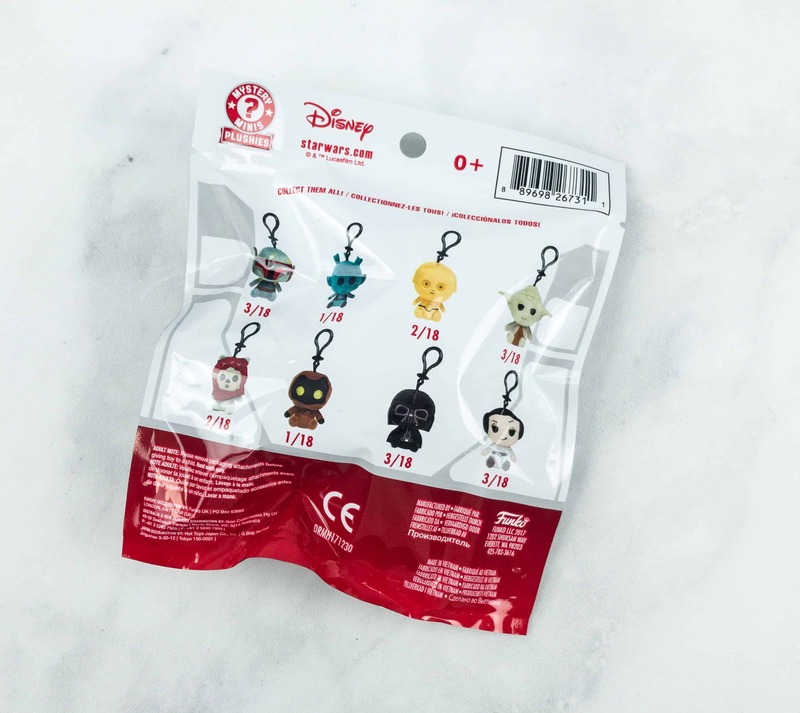 Featured at the back of the pack are the eight available mini plush toys you can collect. 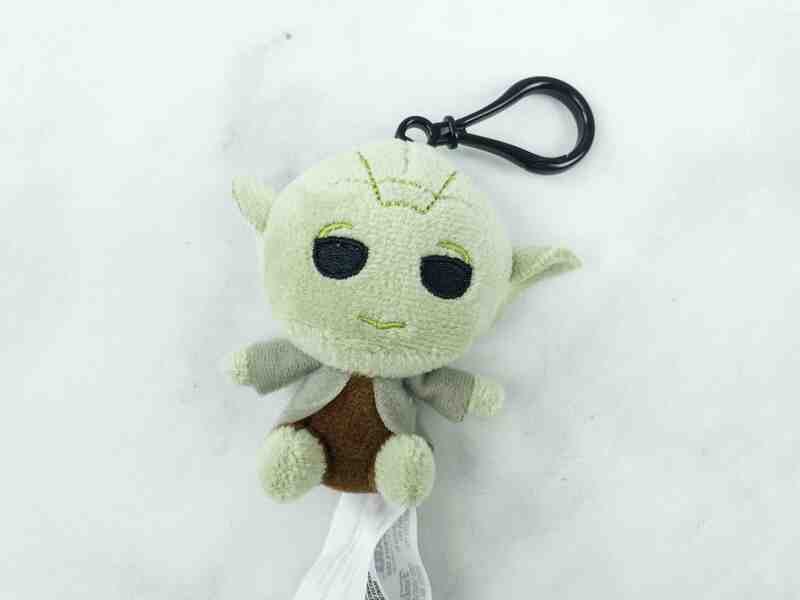 The plush toy we got is Master Yoda! It’s so soft and light. Definitely a great bag accessory! Master Yoda is the legendary Jedi Master and one of the strongest characters in the series, even for his old age. He’s certainly one of my favorite characters in the Star Wars universe! Mix & Match Double Socks. 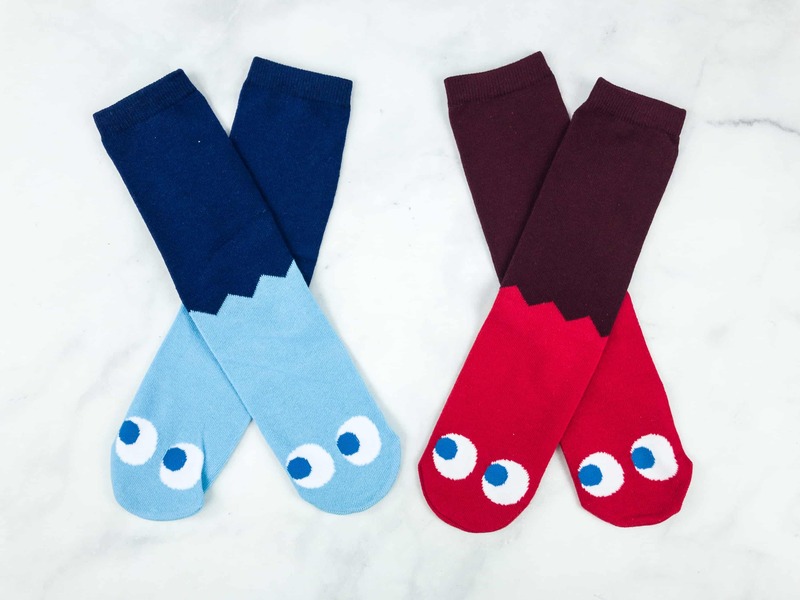 These two pairs of socks is another Super Geek Box exclusive. It is made from premium quality materials, providing extreme comfort to the feet. 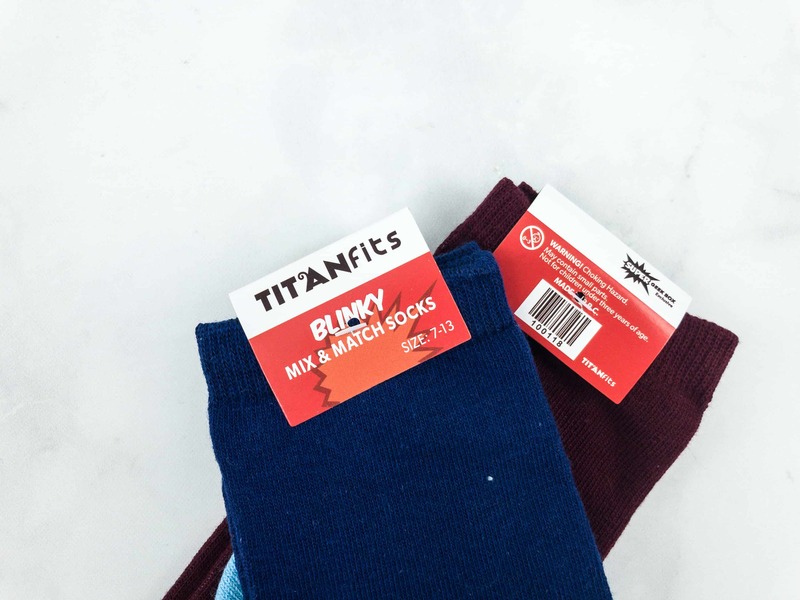 Both socks feature a dual shade design with the dark color on top and the light color at the bottom. 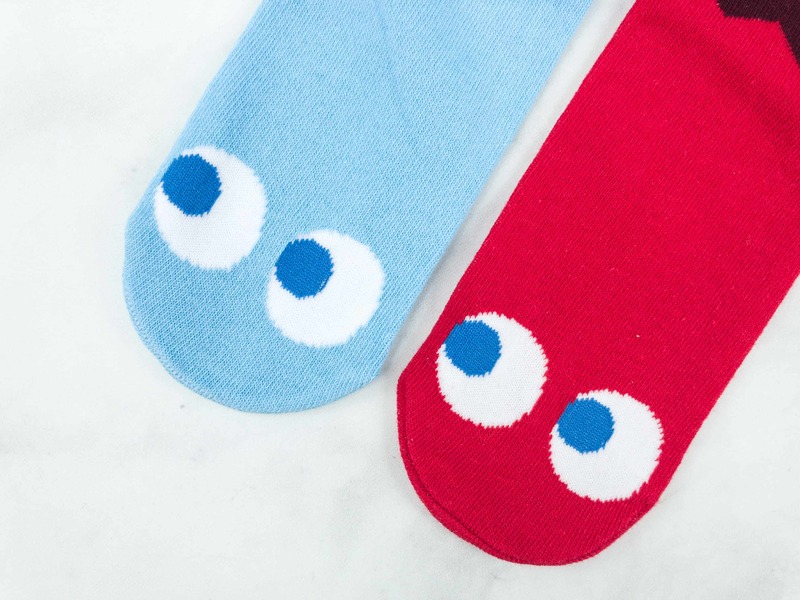 Also featured at the bottom of the socks are a pair of eyes. They look like the ghosts from PacMan! Star Wars Aspen Travel Bottle. 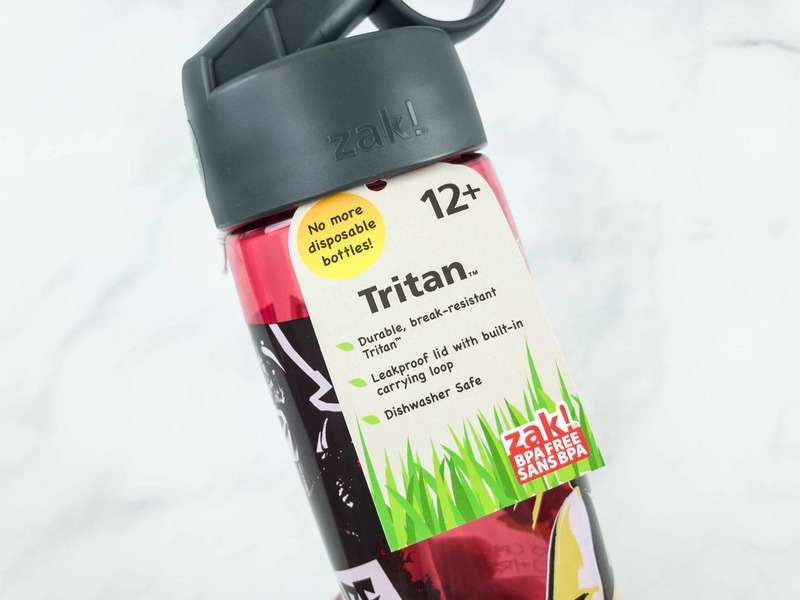 This travel bottle is made from durable Tritan plastic. It’s shatterproof, break-resistant, durable, and leak-proof. 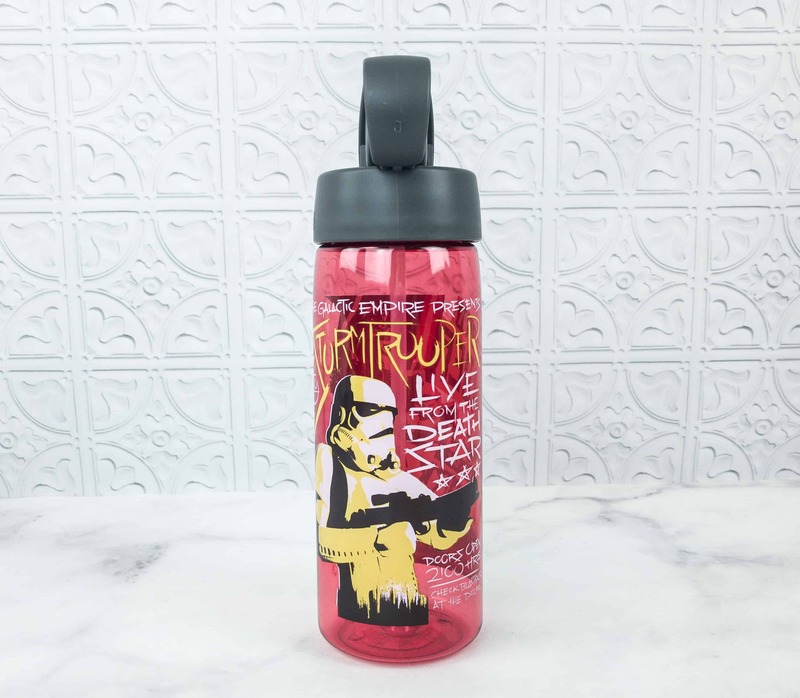 It comes with a handy built-in carrying loop and an easy to open, flip-top cap. 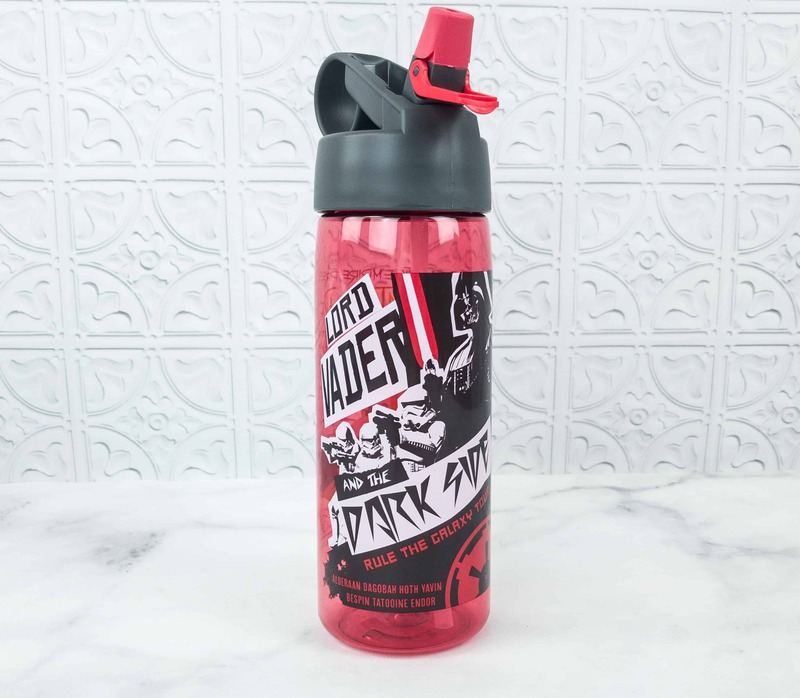 This bottle is available in 3 different designs: Black – Rogue One, Blue – New Series, and Red – Dark Sides with Vader. We got the red one! 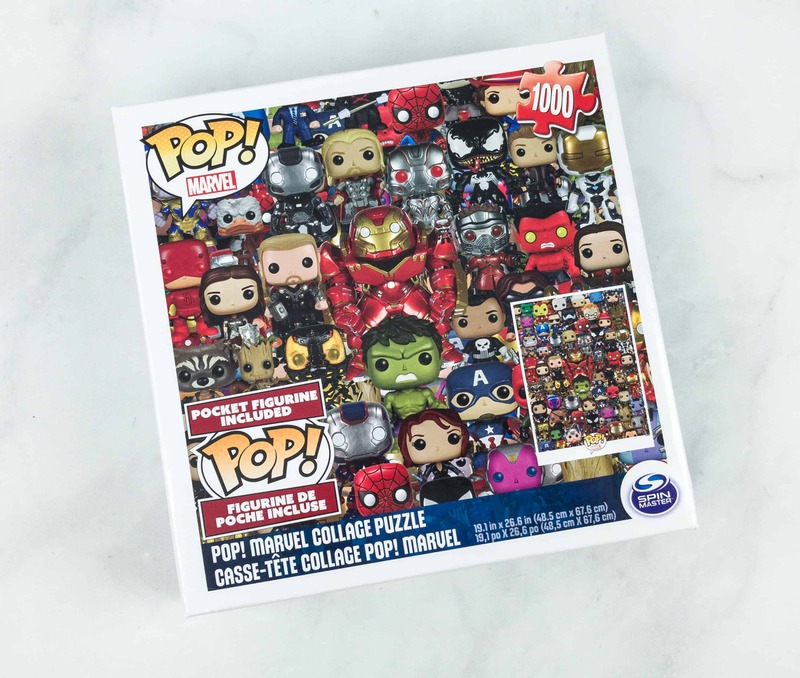 1000 pcs Marvel Jigsaw. 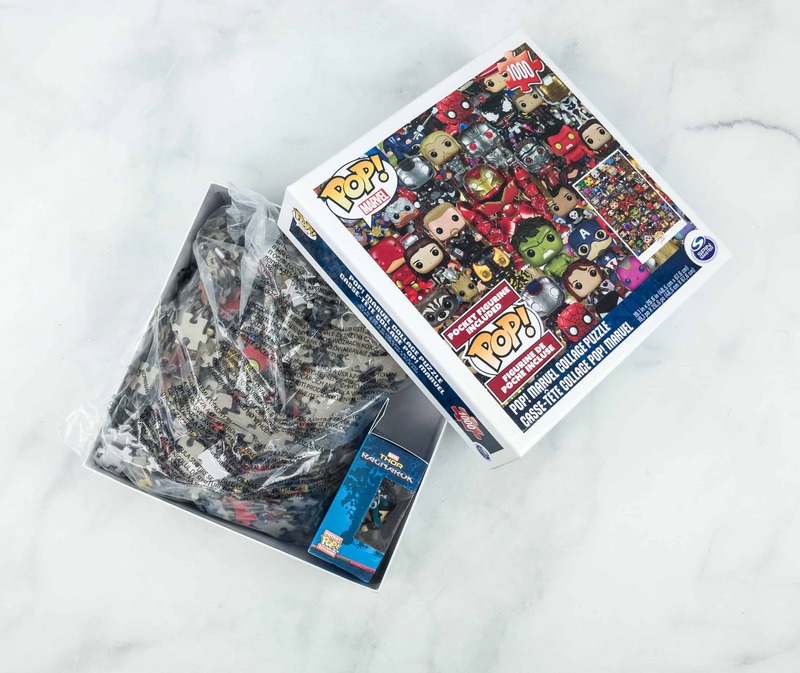 It’s a 1000-piece Marvel jigsaw puzzle. 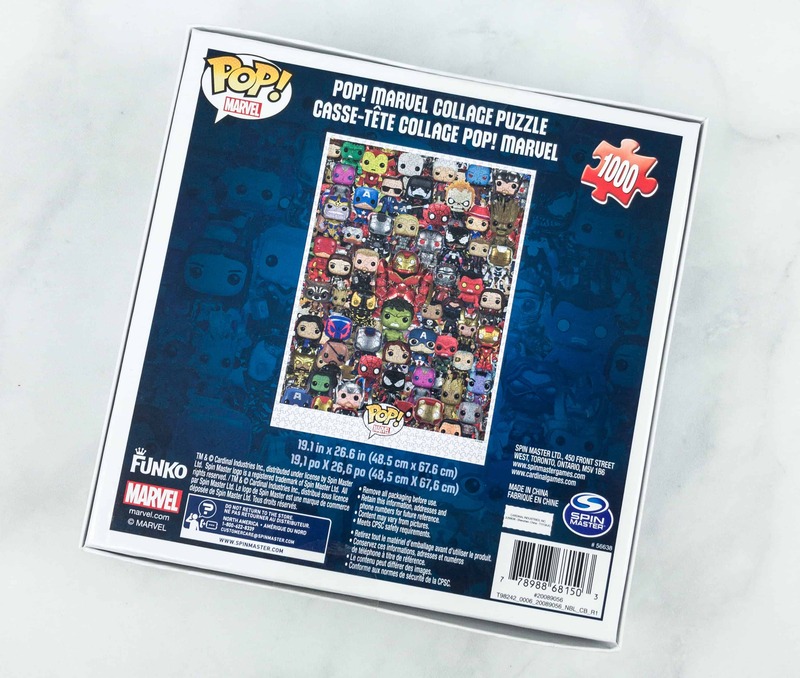 The back of the box features a photo of what the puzzle looks like when assembled! Everything inside the puzzle box. 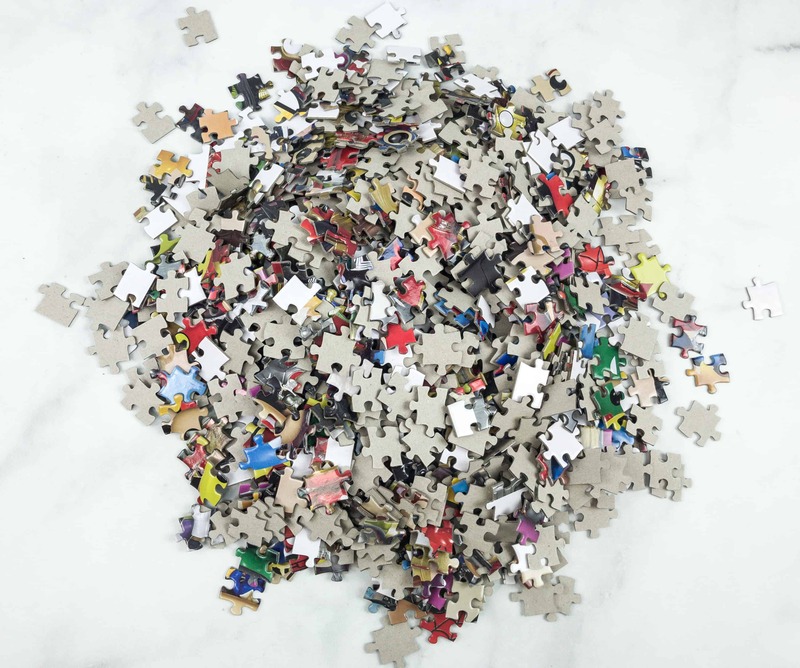 There’s a lot of puzzle pieces, I think it would take time to finish this one up. Pop! 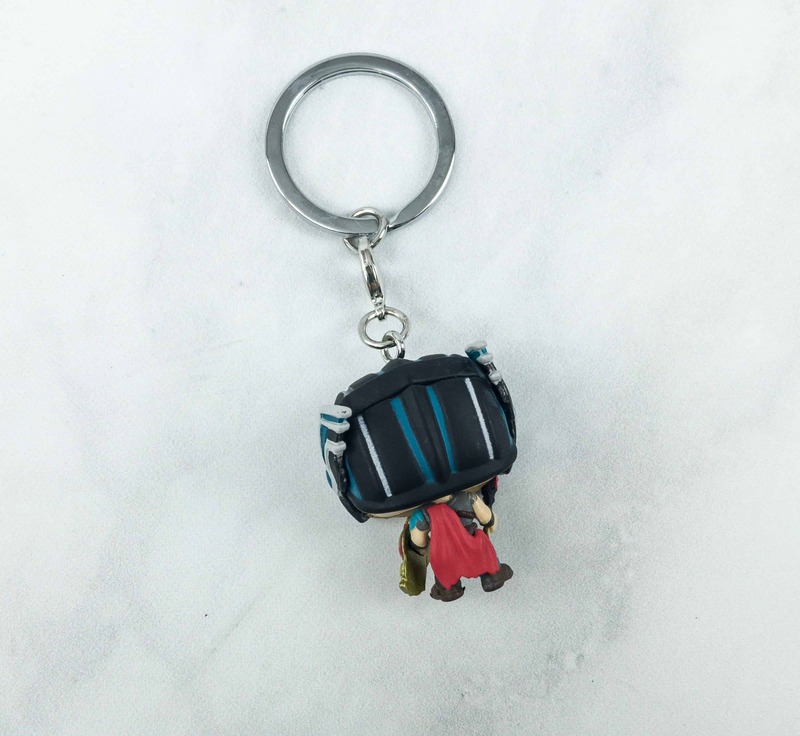 Keychain Bobble Head Figure. 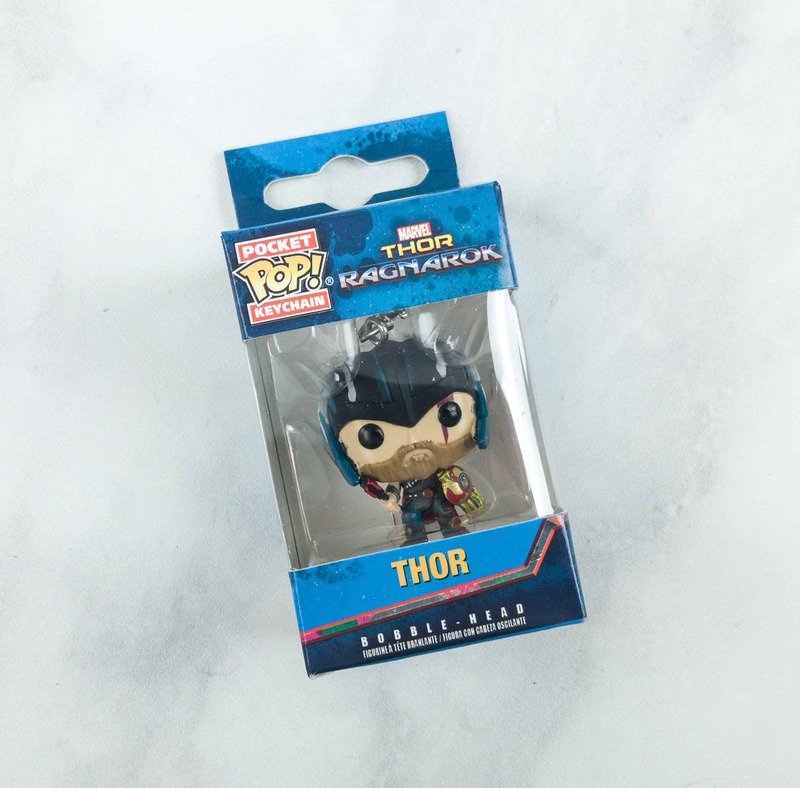 Also included inside the puzzle box is a cute bobble head figure keychain of one of the strongest marvel superheroes, Thor! 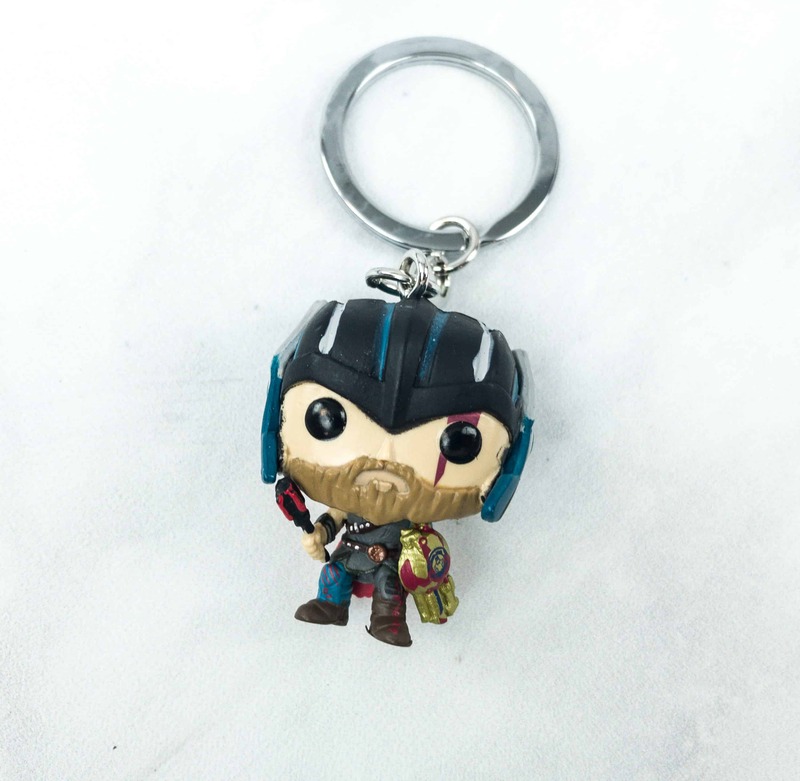 This keychain is well-detailed. It’s the look of Thor when he fought with the Hulk in the movie Thor Ragnarok. He even wields his Mace and golden shield. It’s still fresh in my mind how Hulk beat Thor in the arena with his pure brute strength. Thor Ragnarok definitely is the best amongst the three movies Marvel has released. 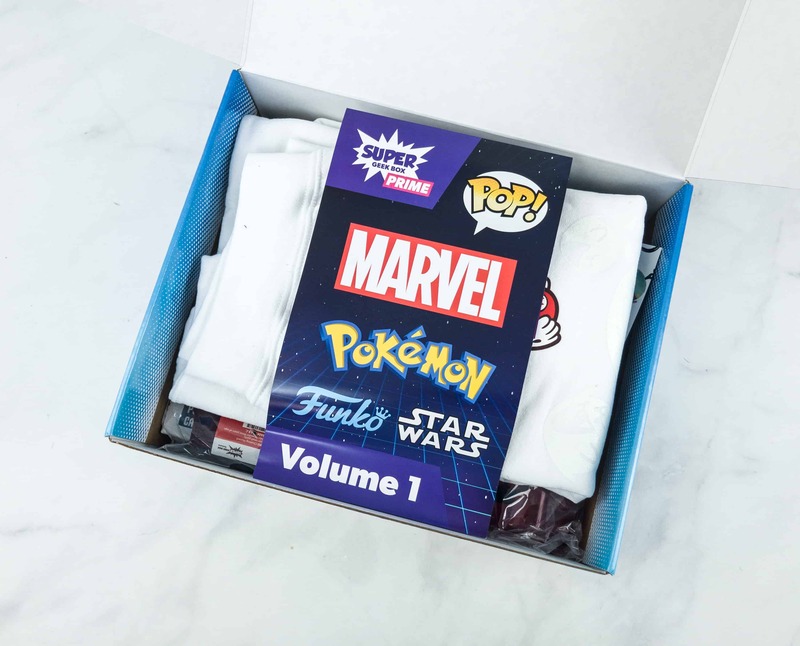 This is my first Super Geek Box Prime and while there were a lot of items, I didn’t think it met the $120 value, and I wasn’t particularly keen on having two white shirts (or even one). 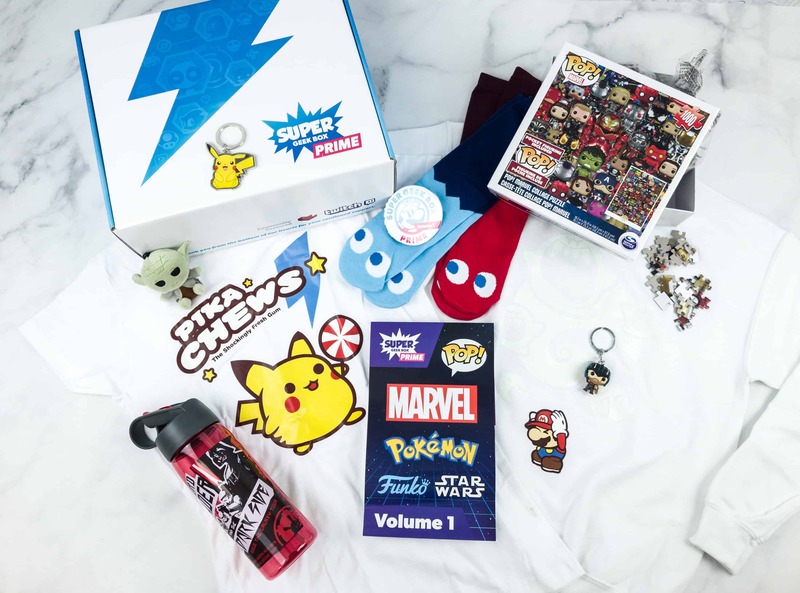 My favorite item in this month’s box is the puzzle and Star Wars themed travel bottle. 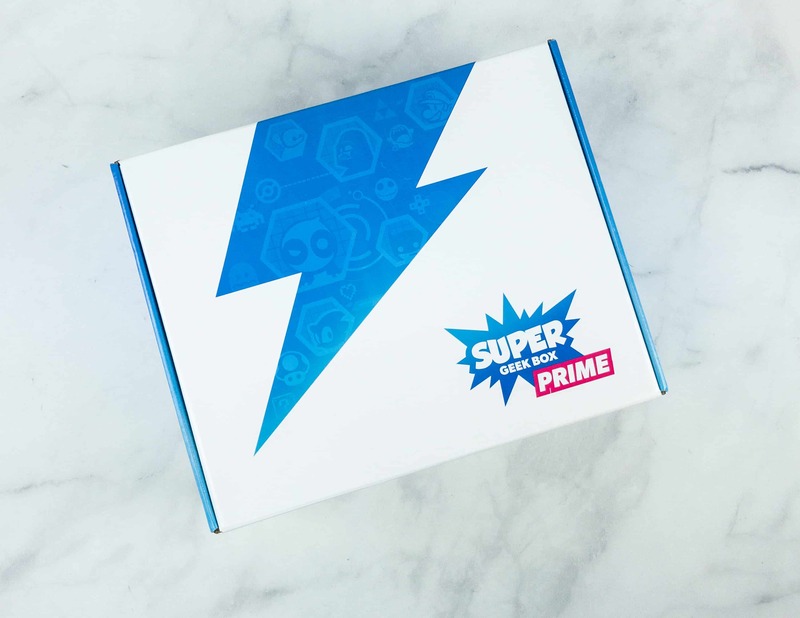 What do you think of Super Geek Box PRIME? 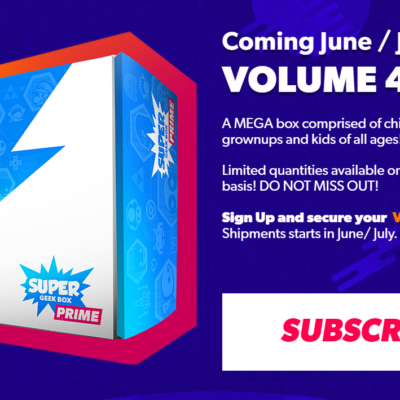 Visit Super Geek Box PRIME to subscribe or find out more!